Hello again! It's been a crazy couple of months, but now that I've got the household on a regular nap/sleep schedule, I can finally devote a few minutes here and there to blogging! 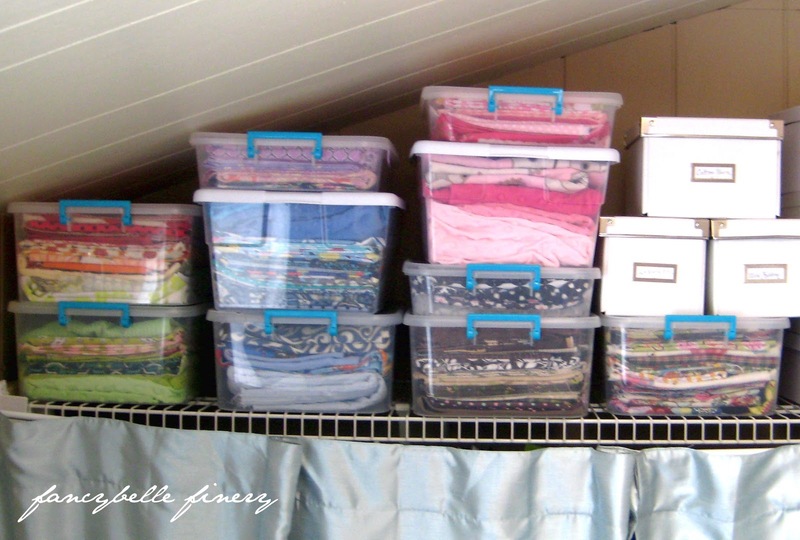 One of my big resolutions this New Year's was to get my home more organized. 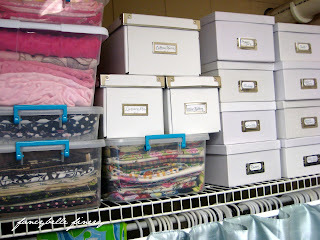 I've been slowly attacking our clutter-prone spots and it's been a lot of fun. Thank you Pinterest for inspiring my little changes!! Even though she doesn't fit in, I still really love my Hello Kitty toaster! Maybe I should make a cover for it? 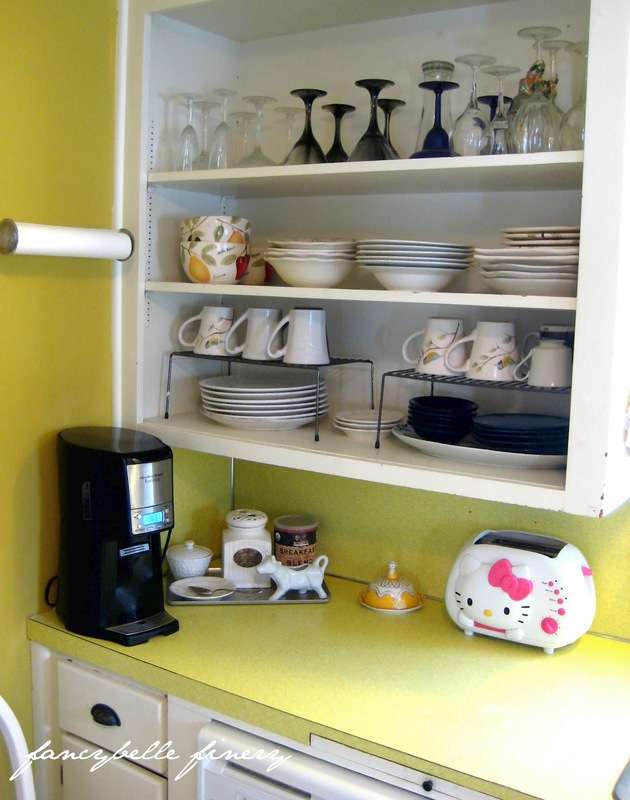 It's taken some getting used to having open shelving in the kitchen, but you can't argue with it's simplicity. 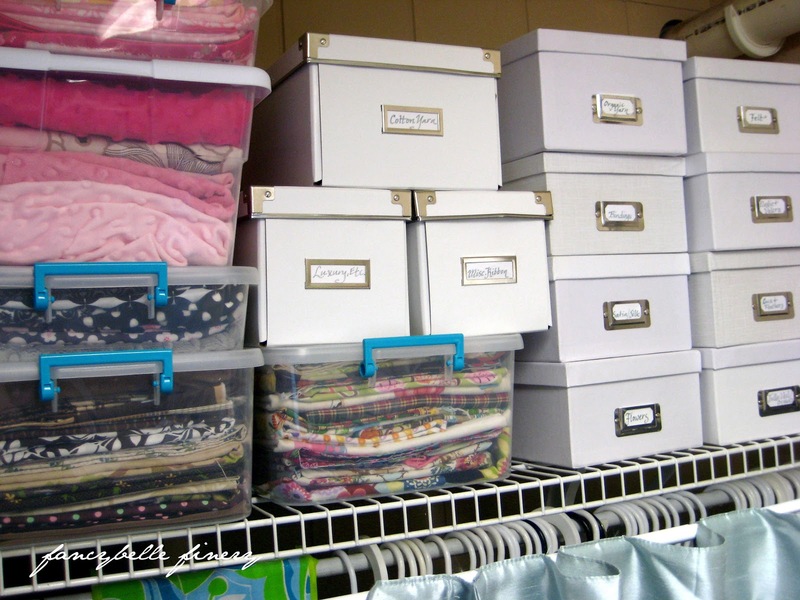 It forces you to keep things rather organized, I suppose! 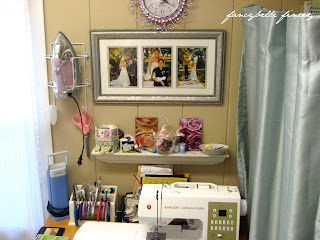 My other big project this winter is a makeover of my sewing/laundry room. This is my favorite room in house, just because it's my space to retreat for crafting purposes. Inspired again by Pinterest, I organized my fabric stash by color. Love this change!! These are just stacking totes purchased at Walmart. 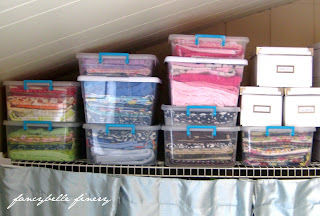 I used photoboxes from Joann fabrics to store my sewing notions, trims and specialty yarn. 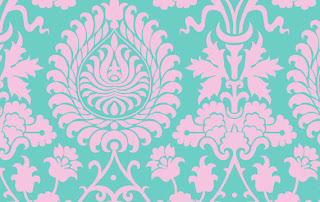 Next on my to-do list is sewing a new ironing board cover, curtains and a sewing machine cover. Can't wait until this fabric arrives so I can get going!